Luminous helped power up the designated E-base through its solar offerings thus enabling education and cross-cultural learning as a way forward to tackle ecological and global challenges. The ‘E-Base’ runs exclusively on sustainable power technology products being provided by Luminous. It serves as a connecting medium for educational, environmental and energy initiatives between the local population and the global audience. The inauguration of the Third Pole E-Base was done by the world famous polar explorer, Sir Robert Swan, OBE, the first person to have walked to both the poles of Earth. The concept of E- base too has been instituted by Sir Swan who prior to this initiative has built two E bases at the South Pole and Pench Forests in Madhya Pradesh (India). Paras Loomba from Global Himalayan Expedition is championing the cause in India, who was also responsible for partnering with Luminous in this case. Luminous has set up a complete solar powered system comprising of Solar Panels, Solar UPS and Solar Batteries. By creating a foundation based on the three pillars of Sustainable Energy Structure, E-learning Knowledge Centre & Local Acceptance, the World’s ‘Third E-Base’ to be located at Mahabodhi in Ladakh acts as an a bridge between Ladakhi community and the outside world. Luminous and NDTV once again unite with Global Himalayan Expedition (GHE) to tackle the energy poverty situation in the most secluded and backward region of Zanskar, Ladakh, by installing Decentralized DC Micro grids with a sustainable and holistic economic model. 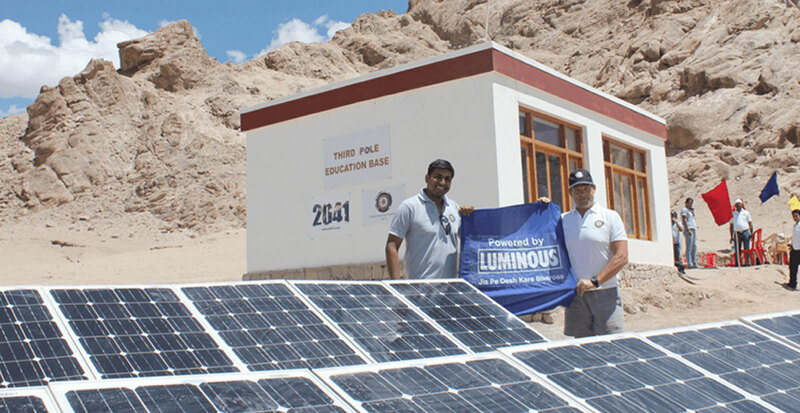 The initiative resulted in illumination of the remotest village of Zanskar, called Shade. The remote settlements of the Himalayas continue to struggle for basic amenities in the 21st century. The future of these communities is at stake. They live in extreme climatic conditions, without electricity, health care and education. 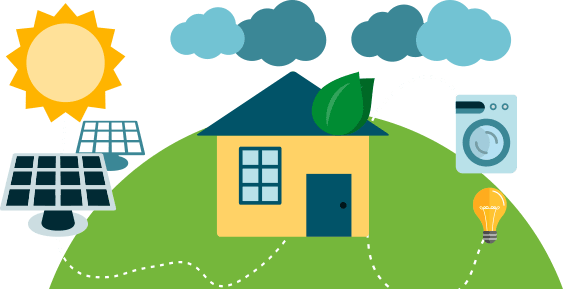 Lighting the Himalayas is a journalistic feature series, committed to procurement and documentation of the on ground installation of renewable powered electric grid systems with cost effective, sustainable and scalable designs. The great Himalayan ranges continue to bear the effects of climate change in the most extreme weather and living conditions. Longer summers, heavy rainfall, floods, droughts and soaring temperatures are one of the more evident symptoms of this disease. To add to the severity of climate change almost 3000 Himalayan villages are based above an altitude of 13,000 Ft, which ensures that they remain cut-off from the world for over half a year. The Lyungnak valley of ladakh, which is also home to the 2500 Phugtal Monastery and the remotest village of Zanskar Shade, has witnessed several calamities due to climate change in the last few years. This is the story of bringing light to one of the remotest and oldest villages in the world. At an altitude of 14,300 feet, a team of highly motivated change makers, from several corners of the world take on the task of installing sustainable and scalable solar power grids in this pristine hamlet.